*I got the product listed below from HABA in exchange for my honest opinion. 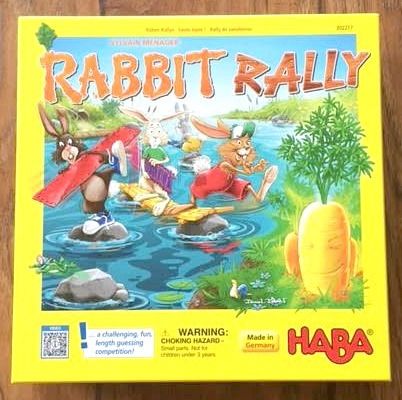 Rabbit Rally is a fun guessing game. In the game Rabbit Rally, you and your rabbit friends make your way across the lake to be the first to the golden carrot. You do this by guessing where to place stones so you can reach them with a bridge. Then the first rabbit to reach the island with the carrots wins that precious golden prize. Kids as young as 4 years old will be able to understand this fun game. 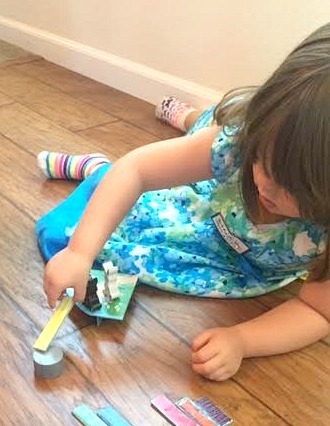 When first playing this game I was a little worried that my daughter would not understand the concept. During the game you roll the die. 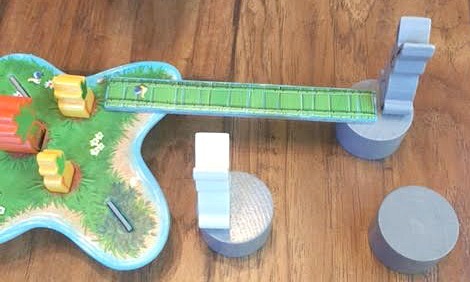 Depending on the color that it lands on is the bridge you will use. Before you can pick up the bridge you have to put a stone down, guessing where you think the bridge will reach to. To my delightful surprise my daughter easily grasped this concept. She now asks to play “the bunny game” almost everyday. Even the youngsters can join in on the fun. I also have a two year old son. He doesn’t like to be left out on things, most kids don’t, so the last time we played Rabbit Rally he joined us. I knew he didn’t understand the concept of guessing so instead I would place the stones for him. 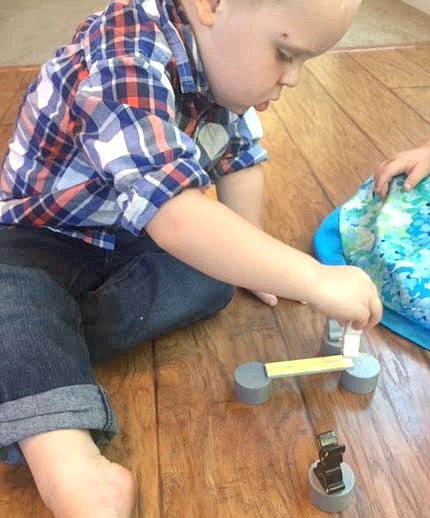 He then was able to place the bridge on the stones and move his rabbit across. He was so happy to be able to play a game with his big sister. Now he also asks to play it everyday. The trickiest guess of them all is the last one you will make. 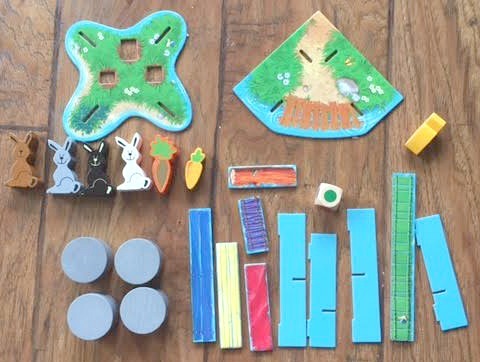 To win the game you need to make it to the island with the carrots. To do this your bridge needs to reach that island. So your last guess is whether or not the bridge color you rolled will get you there. If it doesn’t than your bridge will wash away and you have to wait for another turn. If it does than you win the precious golden carrot. But don’t worry, two of your rabbit friends will be rewarded right behind you. This really is one of our new favorite games to play as a family. It is interesting enough that us parents don’t get bored and fun enough that the kids don’t either. I highly recommend this game to any families with kids! Who do you know who would love this game? Which colored rabbit would they choose? Let us know in the comments below!